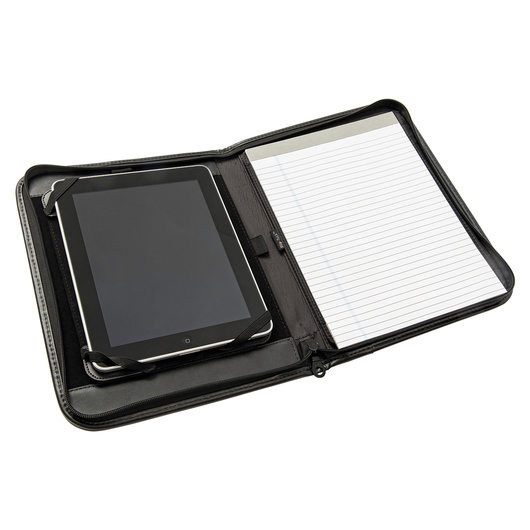 A versatile leather compendium that is designed to accommodate the latest digital devices. Perfect for everyone! 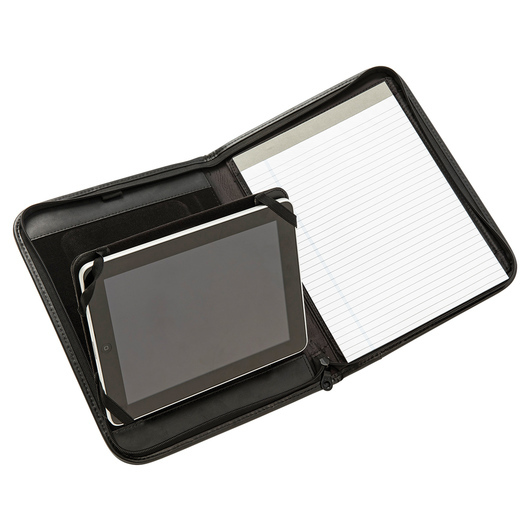 Flaunt a smart look wherever you go with this stylish leather tablet compendium. Made from 100% genuine leather, this product is made to take you through your work day from meeting to meeting in style. 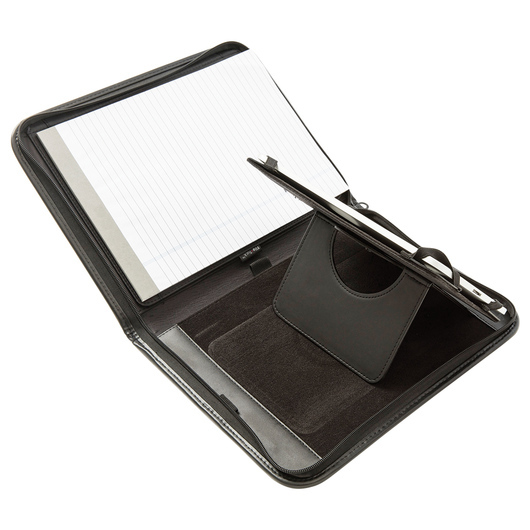 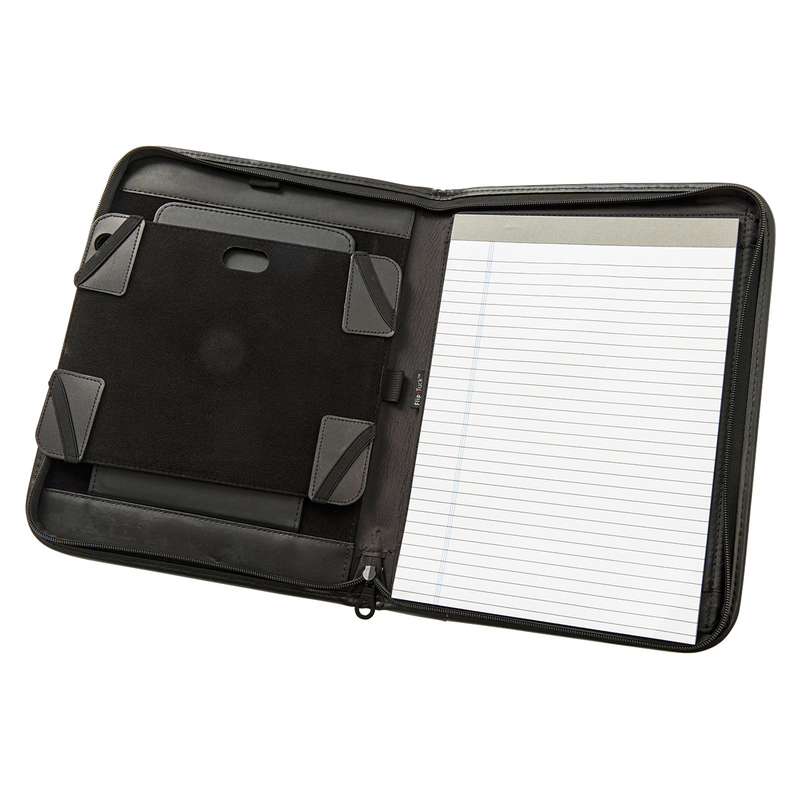 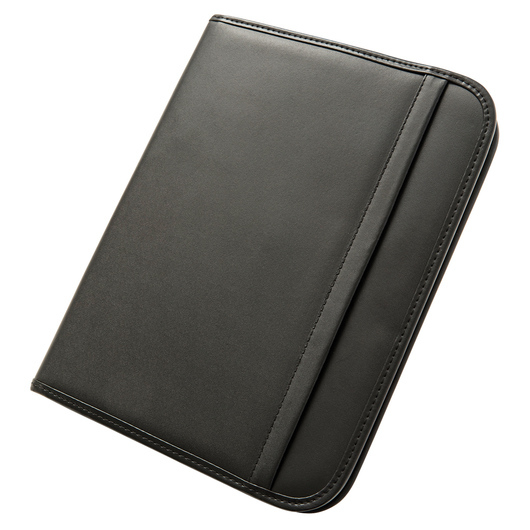 It features a zippered closure, patented Flip Tuck feature for storing paper behind pad while taking notes, removable Velcro corners to accommodate various sized tablets (up to 10"), 360 degree rotating stand adjusts for portrait or landscape viewing, dual stylus or pen loops, dual camera holes accommodate Apple and Android tablets, and a 21.5cm x 28cm writing pad is included.